Friendly enough for beginners, challenging enough for experts. The north wall is a great place for you to start off your climbing adventure. Looking for a little support? Grab a harness! Kids and adults love to scale these walls. With the safety and security of our Trublue auto belay's you can enjoy the climb up as well as the smooth ride down. All the benefits of rope climbing without needing a partner, or a complicated training class. With the S Wall on the left and the Shovel on the right, you are sure to find challenging climbs for all abilities on this massive centerpiece. Sometimes referred to as Deck-Side, the S Wall is a great place to find crimpy classics and wandering traverses. Don't let the shallow angles fool you. These walls are full of problems for everyone. Check out the Comp wall (right) for a taste of World Cup climbing style, right here in Birmingham. The Wave on the South Wall is B2's steepest feature in the main gym.Be sure to explore behind the Funnel Boulder for some excellent problems on shallower angles. Swooping curves and subtle angle changes make these walls something special. The three sided Funnel Boulder is a whirl of a good time. Looking for a challenge? See if you can climb the 360° Funnel traverse in both directions. Our spacious event rooms are the perfect setting for your next birthday party, Scout meeting, or team building outing. And you can catch the game with friends on our flat screen tv's! Chalk, and Pads, and Brushes. Oh my! We've got you covered on supplies for your next adventure, indoors, or at the crag. 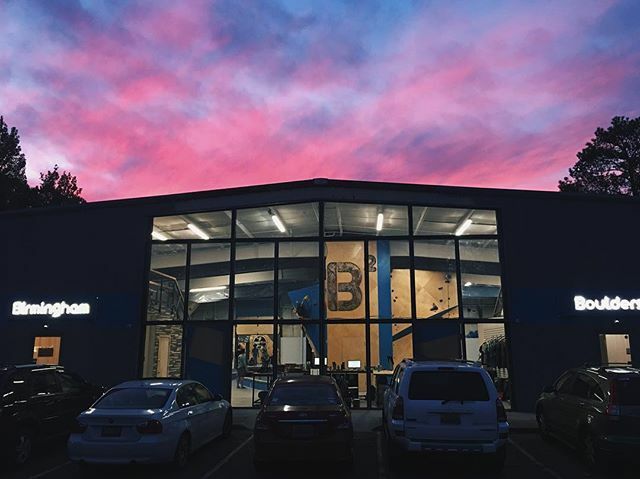 Located near Red Mountain Park, Birmingham Boulders is the newest member of the Bouldering Authority family. 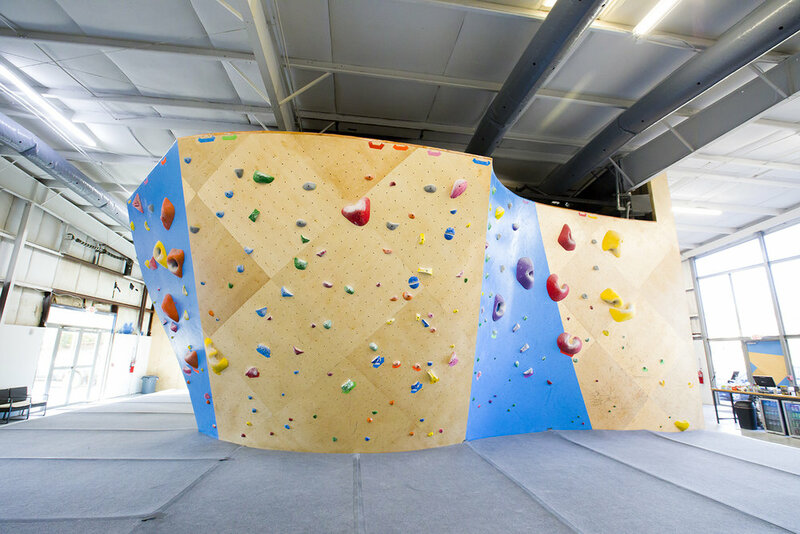 Opened in 2016, B2 is in the vanguard of modern climbing facilities, featuring the newest generation of walls from Vertical Solutions. B2 is big! 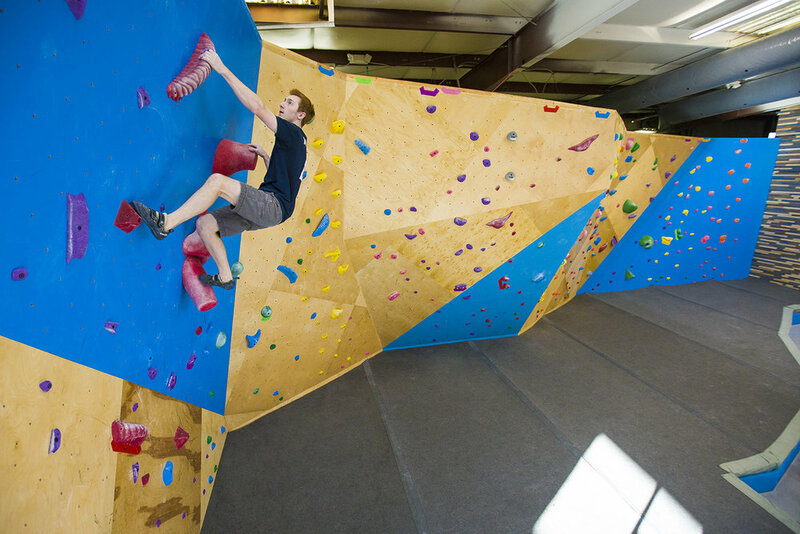 Our 14,000 square foot facility is the largest bouldering gym east of the Mississippi. 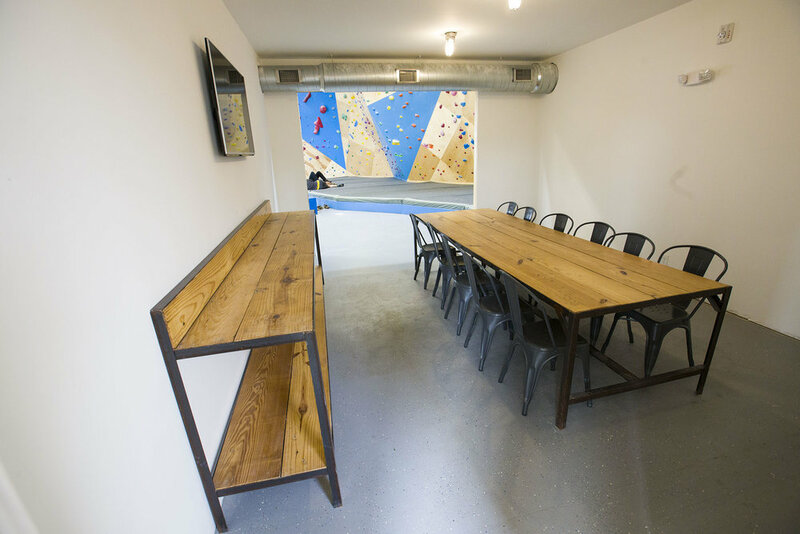 This new space has allowed us to expand all of our programs: more bouldering terrain, an expanded kids & family area, lounge space, and training -- a lot more training. Not only is your day pass good for the whole day, you also get access to both Birmingham locations! This means you can visit First Avenue Rocks, grab some lunch, and then hit Birmingham Boulders. It's like you are a member for a day. Hands down, the best training tools available anywhere. Upgrade your Basic Membership and get 24 hour access to The Forge. Every campus tool at your fingertips. Tension campus rung, sloper balls, and pinches are just the start. Check out our massive Atomic peg board, or just monkey around on the grab bar ladder. The Red Board is good ol' fashion power pullin! Set with old school shapes that rarely change, this wall is a great place to test your mettle and sample some classic plastic. With free weights, a cable machine, 6 station cross-training rig, and professional cardio equipment, the forge has everything you need to perform at your best. 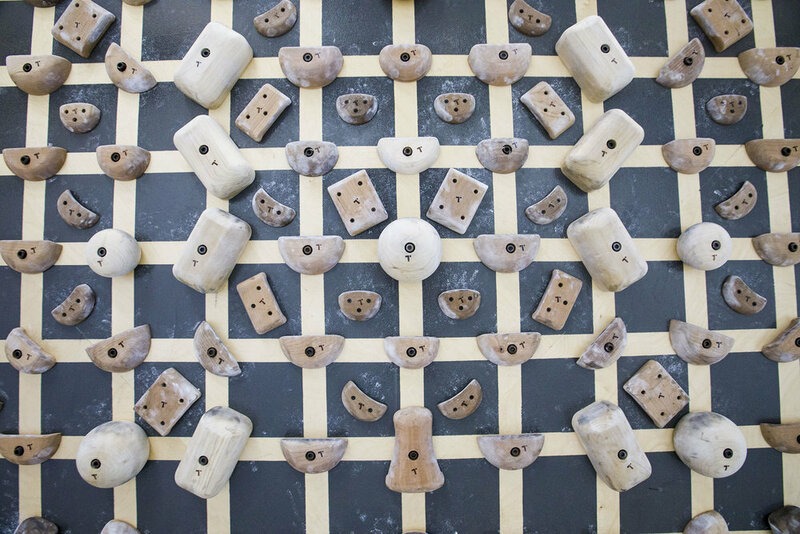 Our Tension System Board is the standard for symmetrical training. It's mirrored layout gives you the ability to climb left and right versions of a problem helping you identify your weaknesses and strengths. A Southern original. Sloper mastery is the key to outdoor climbing in the South. Tension Small, Medium, and Large campus rungs. Our set features half increments to help you push your training to the next level. The dominant feature in the forge in our cave. 28 ft of 70° roof is bracketed by 18 ft of 55° roof. All this is connected by the 300 sq/ft Logo wall that clocks in at 15°. The Forge at Birmingham Boulders is host to the best climbing training available anywhere in the country. 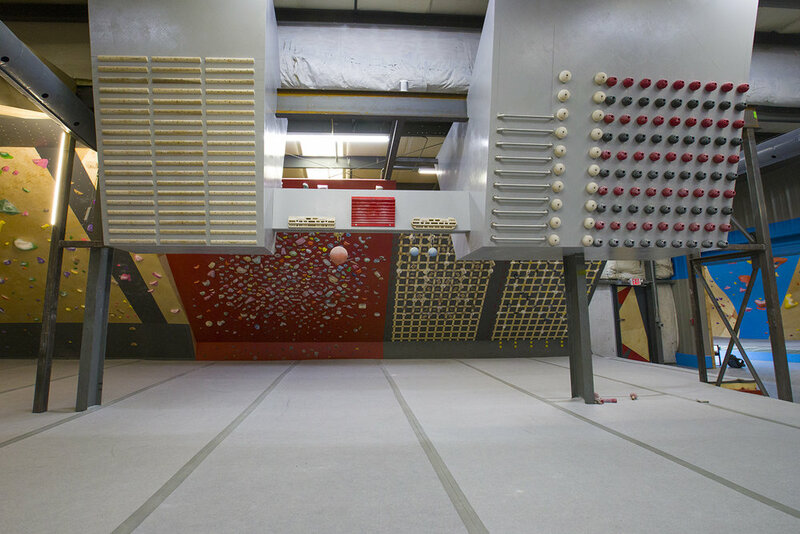 With more than 4,000 square feet of space dedicated to building better climbers. Open to all patrons during regular business hours. Upgrade your basic membership and receive 24/7 access to and never miss a workout again.